The perfect restaurant quality Spring Salad! 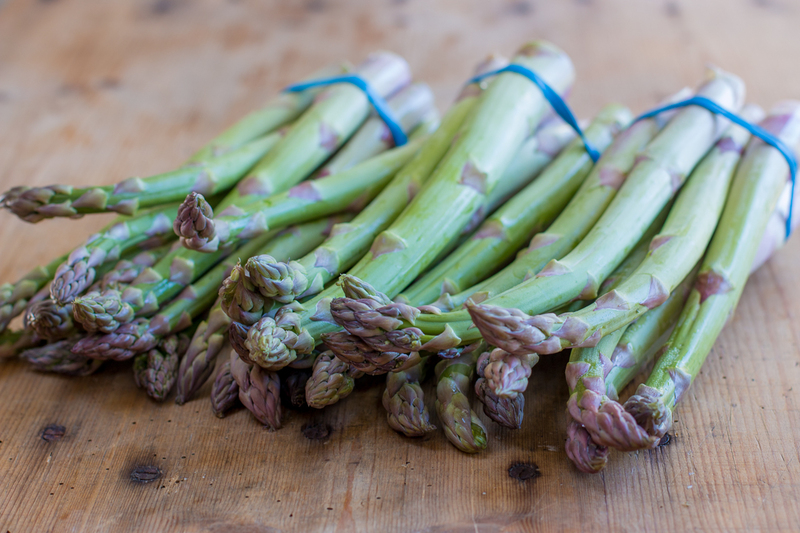 Choose fat asparagus and cook indoors in a grill pan – or outdoors in warmer weather. 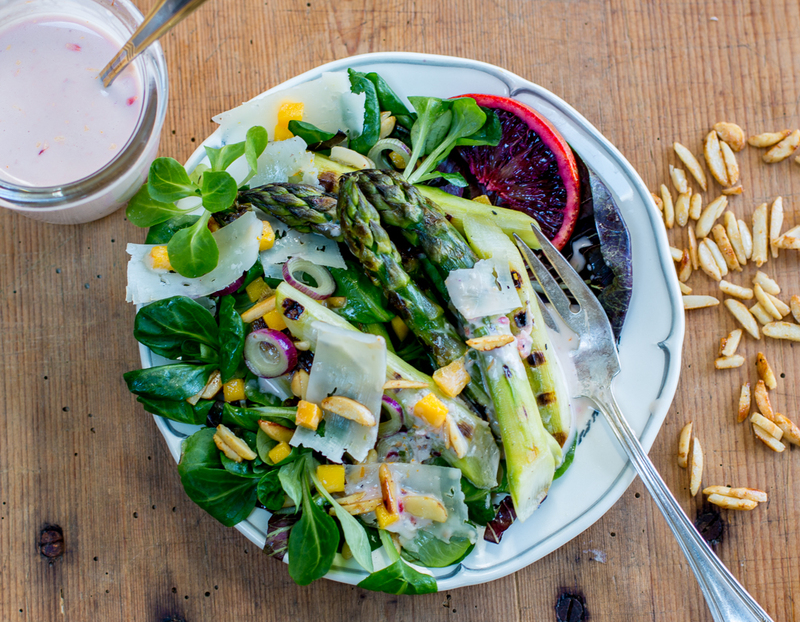 What makes a restaurant salad so special? – – layering the multitude of ingredients. 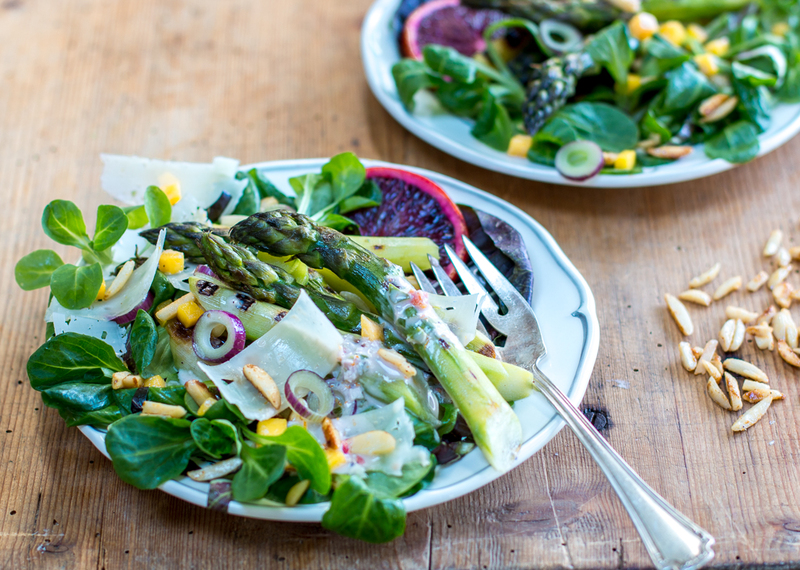 Mache Lettuce, Radicchio, Purple Spring Onions, Toasted Almonds, Fresh Mango Cubes, Blood Orange Slices and Grilled Fat Asparagus Spears all come together for a memorable, Restaurant-Syle Salad at Home. Perfect too for Easter Entertaining. Why are restaurant salads so tasty? Think about it – all those fresh ingredients work together to create harmonious flavors and textures. 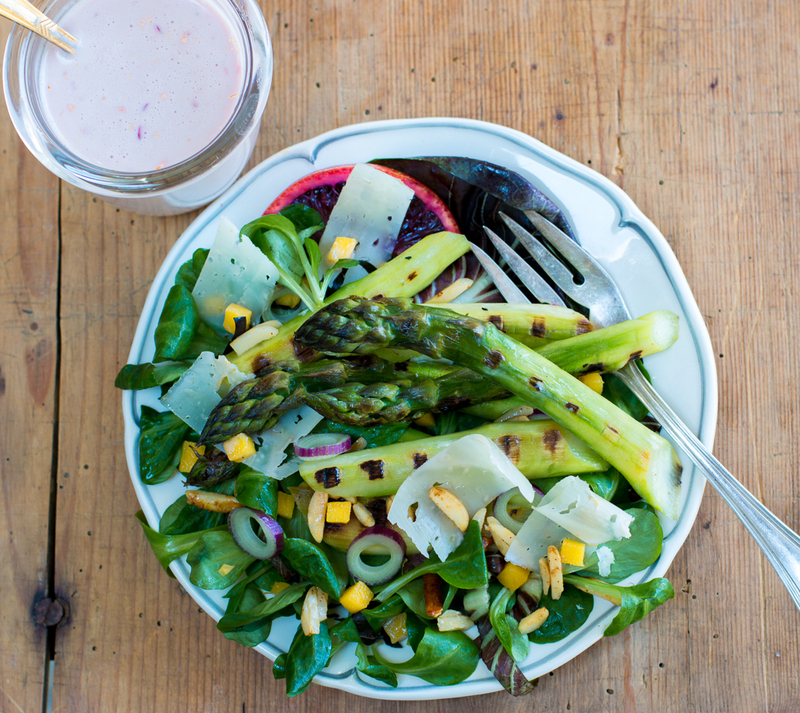 What makes a salad elevate to the next level… the freshest greens, vegetables, nuts, cheese, fruit and a killer dressing. This recipe will produce a restaurant quality salad at home. Healthy and delicious – great for a special dinner or entertaining! 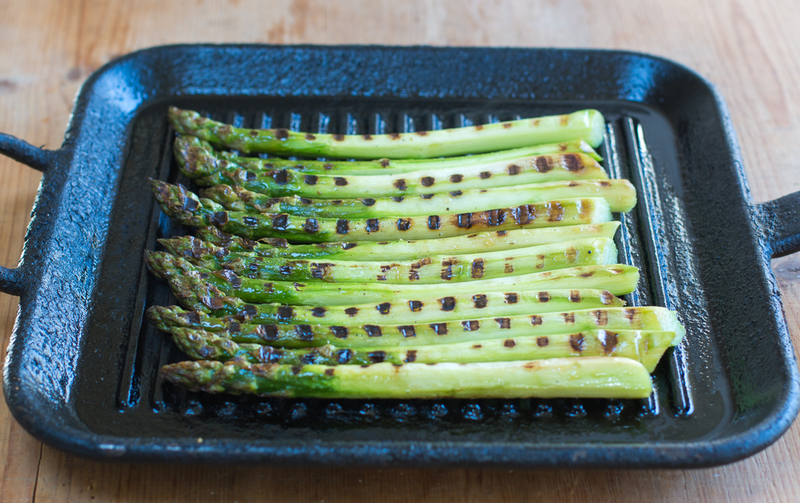 Grilling asparagus is super-easy. Rub the peeled veggie with a neutral oil and salt & pepper and add to a very hot grill pan. 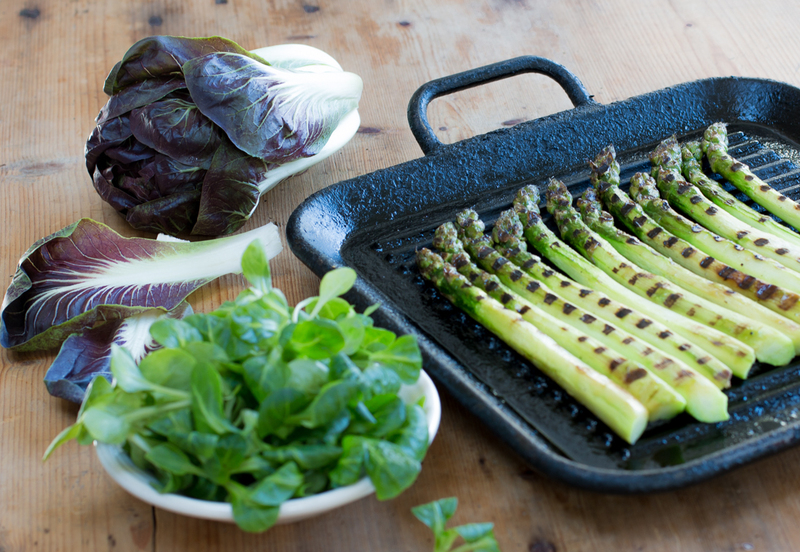 To achieve the best, neat grill marks – top the asparagus with a heavy pan to weight down, I choose a cast iron one. Will cook in about 5 -8 minutes, depending on the thickness of the spears. I chose Spring lettuces – Mache also called lamb’s lettuce, has been cultivated in France since the 17th century – the tiny, dark green baby lettuce with a sweet, nutty flavor. Fiero Radicchio is special – a leafy green that had red streaks like a red leaf lettuce but a more compact head. Gorgeous plants with emerald green outer leaves and burgundy interiors with a distinctive bitter flavor. Manchego is a cheese made in the La Mancha region of Spain from the milk of sheep of the manchega breed. 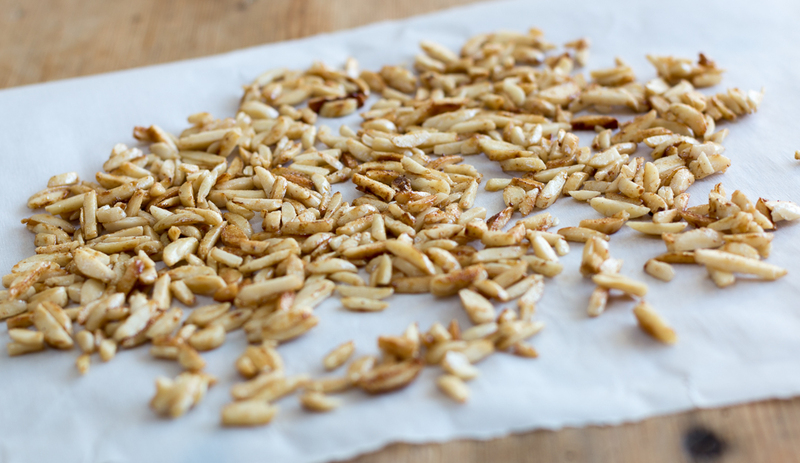 Make my Maple Toasted Slivered Almonds in a Skillet – will elevate the salad to a whole new level. So simple to make, takes just a few minutes. You’ll love the Blood Orange Buttermilk Dressing – simply whisk all ingredients together for a creamy, yet light dressing with a gorgeous pink hue from the deep ruby colored blood orange… yes a zesty flavor! Enjoy the first flavors of Spring!